Sets outboard back 1/2 inch from original setup. 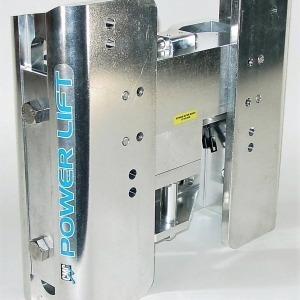 The 5 inch Vertical Extension allows the motor to be mounted 5 inches higher than the standard mounting on the transom. 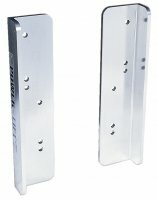 Ideal for mounting a 25″ inch shaft on a 20″ transom. One advantage is that the powerhead of the outboard is further out of the spray and splash zone. 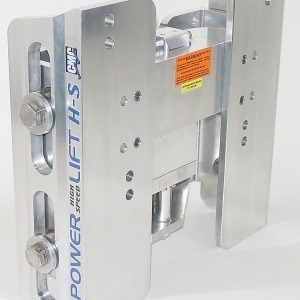 Our customers have used this unit to mount 60 to 300 hp motors. 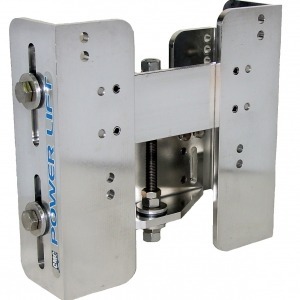 These are popular, although we have struck problems where the flange on the outboard may be an interference fit with the two upper fastening bolts of these brackets. This problem can now be remedied if you order tapered holes in these two locations. Cost is $35. This allows you to fit 2 x 1/2 x 3 inch Tapered set screws in the location where the interference happens. 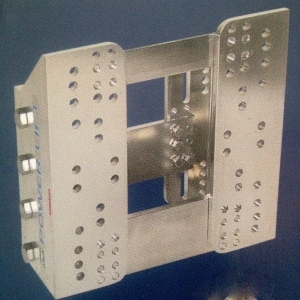 The set screws sit flush or very slightly below the surface of the bracket.